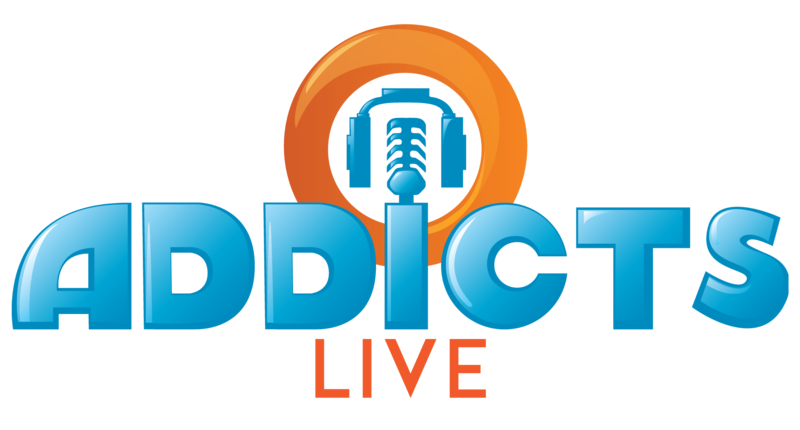 This entry was posted in Addicts Live, Podcast, Tapped Out and tagged Addicts Live Stream, Springfield Jobs Event, Tapped Out Tips and Tricks, The Simpsons Tapped Out, TSTO Addicts, TSTO Podcast, TSTO rollback glitch, TSTO Tips and Tricks, Whats next in TSTO?. Bookmark the permalink. Hey EA. Time to slow the game down. Shorten the events. And don’t start another one before you fix the rollback glitch. I guess I’m one of the few that actually likes the length of the event. The last little while work has gotten crazy, tax guy, and I’ve only been able to tap once or twice a day. Now that tax day is over I’ve got a billion things that need to be done around the house so I’m still only tapping occasionally. Even at that I’m ahead on the prize track and always have been. It’s nice not to have to set an alarm every 4 hours to get my tapping in and still be able to play all the way through the event. I also love the designs of most of the buildings offered this event and love that we’ve been given characters and not skins. I’m not really sure what I’m going to do with some of the stuff I’ve acquired through this event, but if it comes down to it I’ll just do as Alissa suggests and put it in inventory. I agree about the length. I’ve had three different work-related trips during this event, and I’ve appreciated that I could still finish all the prize tracks even if I couldn’t do 4x/day every day. The only way I’d want shorter events is if that shorter time is more than enough to complete all the events tracks without a 4x/day grind. I wouldn’t mind moving away from three acts and having to put characters in four-hour jobs again and again. Like that one event–was it Christmas 2017? Losing track…. This event easily reached the top two i have been in. Who knows me well enough to realize i’ve only been through 2 events? I don’t post much at all here but love reading all of the posts and player comments. Just waiting for the event to end – have not been able to buy anything in Act 2 nor in Act 3 because of ‘The Glitch’ so it’s been a frustrating couple of weeks. Hopefully ‘The Glitch’ will not follow into the next event or events. I voted for the “it was ok, I just wish it was shorter!” option. Liked the characters and buildings in Acts 1 and 2. But at this point, I just want to be finished. It should still take a few days for me to get all the prizes. I found using Patric’s 36 KEM use in farming usually earns me some money, provided I do 4 hr tasks during the day and 8 hour at night. . If I make too many wrong choices in the bonus boxes, I can break even or even lose a little. Need that cash up to pay for land. Space is getting scarce. Off topic: I think the next mini event is going to be a clown college event because it has been teased in the store twice and at the end of Bart Royale event the store description said “a crazy clown college” though I would like at least a few days of down time (not an event going on) to continue on designing and playing through questlines since the only time there is down time is when a mini event is finished early or when the teaser of a major event’s questline is finished. I feel like some of us have a predisposition to not like much of anything that the game gives us because of the length of each act, the need for more land, the item limit, etc… now yes those are good reasons to not like the game right now, but not the event itself. Maybe I’m just looking for a silver lining, but I like that we got some interactive decorations for the rivers in our towns (who knows, maybe interactive decorations for our roads is next). I agree the storyline seems a bit disjointed but I’m going to try and focus on the positives for now so that I’m not miserably playing a game that I love. Patric – You need to do a critic’s corner telling people why their towns are bad. Patric you ever heard of Don Cherry? That style of critic would be hilarious. Love it. But you have to wear the blazers too! We need more down time…more and more of my neighbors are becoming “ploppers”…I think there’s just not enough down time to design, before the next wave of buildings hits. I’ve noticed a lot more of these “ploppers” as you call them. I try to drop things in open spaces while trying some semblance of having some order, but there are some people that literally have little to zero roads and buildings and decorations are scattered all over the place. It’s a headache to navigate. I think a lot of people have just given up, which is why I had to delete like half my friends list because they’ve been inactive for months. What would be cool is you had one or two extra town edits. That way you could continue with your main town without blowing it up and still have a work-in-progress you could take time to work on at your leisure. And with Events, craft multipliers and stuff them until after the Event when I can store and (sigh) rearrange. Down time would be appreciated – as is seeing neighbors designs. I’m much more audio than visual, so seeing some one else’s works helps me steal ideas. Is there a trend here? Both Alissa and Patric have been moved out of the house…is Safi going to be broadcasting from a Starbucks next week? maybe we could get a sponsor? This event started strong…Italy and the art museum were great additions, and then Act 2 had some beautiful buildings. Act 3 was just thrown together…another event where the third act of the event was totally unneccesary and was just filler. Agree, the first two events had strong themes for designing but last event is a bit of a mix, although some of the items look good and can be placed with some success, I’m not sure I really want a town plopped with loads and loads of resorts. EA needs to start utilizing neighbors as they have in the past. At this point why have more than 10? I agree, a lot of effort put into visiting neighbours for not much reward for the event… some unique prizes for using neighbours would be nice. 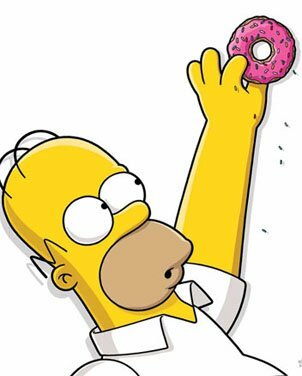 A reply for Justin & Fred; EA want to sell us those useless neighbour multiplier function cards for donuts! Does anyone actually buy those? I’d be more inclined to buy one if a small billboard of the card were available for placement in your town(s) Maybe with a small percentage bonus? Anyone else think that is a great idea? Kind of like a been there; Done that commemoration. Maybe use them to line the side of a road with billboards? Other than that I see no point in wasting donuts on those cards, licenses, call them what you will. I have over 75 neighbours to each of my 2 towns; Over half on each have been inactive since Xmas event or earlier. Some 100 or so great towns just abandoned. I’ve done so many events since the first Whacking Day that now I don’t even bother learning their names! They just collide from one event to another for the last few years. No downtime. Some downtime would be nice. Wake up & small the roses EA! We are not all youngsters whom need the latest greatest event right now! We are here for the long haul & have been for many years! Forgot to add… 3 act long events are ok(ish) if they are not all consuming and detracting from main game. BUT; 3 act long events for me (as someone who travels a lot and doesn’t always have connection) are a problem for playing catch up. If you’re available to play a lot at start of event, it’s easy to catch up later if you miss something. If you start off behind, you stay behind. I think that skews it in an unfair manner. None of the poll options quite fit my opinion. I think the event was too long and the 3 act concept is a bit old. 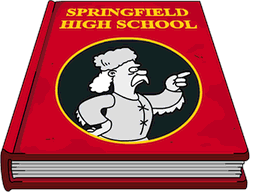 Acts 1 and 3 were middle of the road, but Act 2 was A+++ as I absolutely loved the London buildings and I think I have a nice London area in my Springfield now! And a thank you to addicts crew, addict commentators, addicted followers and addicting friends! Overall I think this event is pretty good. -Multiple freemium characters in the prize track. -Utilized a different set of characters than normal events. The biggest negative for me is that most of the prizes are one offs from the show. None of the prizes stuck out to me as a must have. If anyone has extra crafting currency which I’ll bet is everyone, you can craft unlimited Hotels that earn money and XP. Big problem is trying to place them around town so they’re not clustered in one spot. Either way the Hotels look good and will help to have great looking towns. I’m looking forward to Sunday’s episode, should be a good one. What an awesome milestone for The Simpsons.